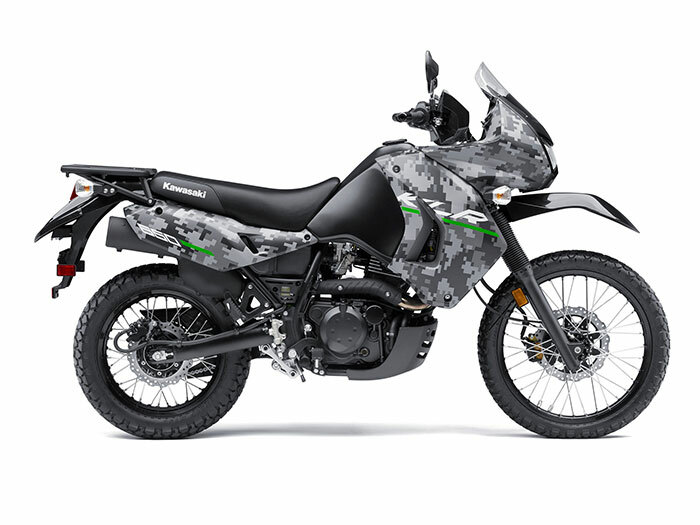 First time the KLR is on the Cool Wall and the 2016 Kawasaki KLR650 Camo is new for 2016! Well, the graphics are anyways. Awesome bike but the camo is ugly in my opinion. 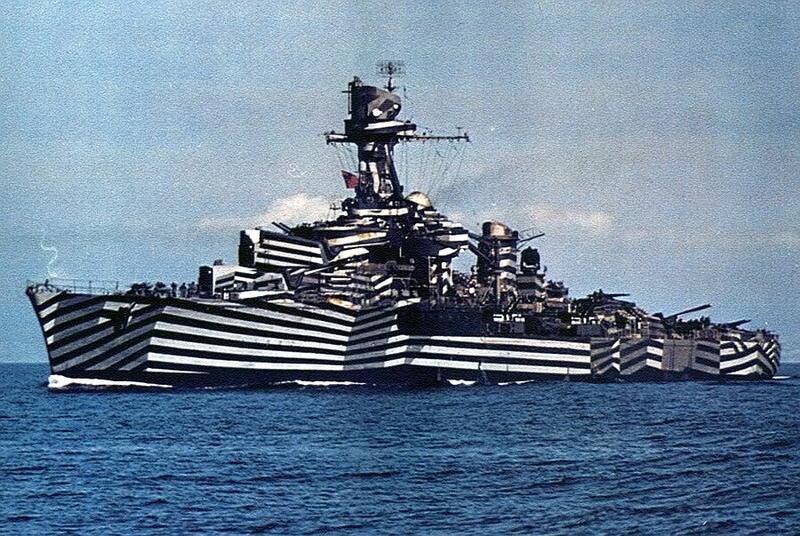 I expected actual camo....that just looks like enlarged pixels. I'd like to go on a demo ride though. 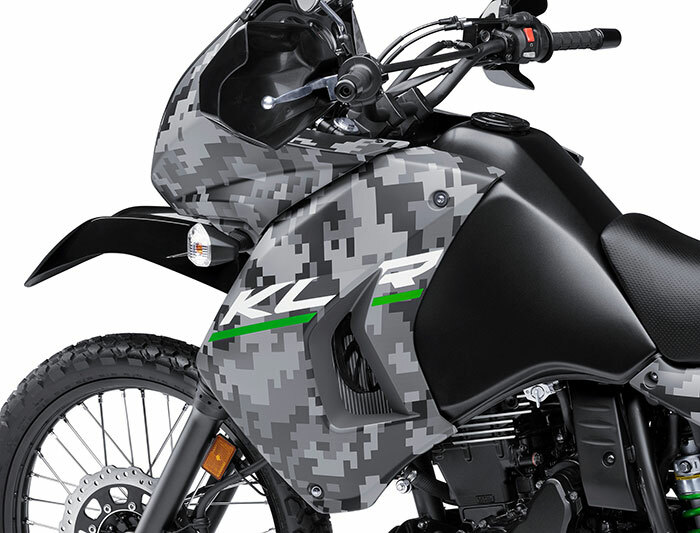 I agree with montanalifer, the KLR is indeed an awesome bike, but this "urban camo" pattern doesn't do it any favors. It looks like a marketing decision ("Let's try to get millenials to like the KLR! "), and thus looks like it's trying too hard. It's not the KLR650 that's uncool, it's the Camo... eww. Well, I guess it's like a WWII battleship camo (which is cool) but it just looks very odd on the KLR. I was hoping when Kawasaki said "new KLR650 model" it would mean more than graphics but a new engine and a refresh. A little disappointed they didn't do that yet for the deserving KLR. Notes: A leading off-road, do-anything bike with "urban millennium camo" design that flops. On a safety front, would riding a camouflaged motorcycle be unsafe to ride in traffic? From the comments in the discussion thread, maybe the camo will hide it on the sales floor. Kawasaki, PLEASE UPDATE the KLR650 to modern standards, it's a well deserving model for it. It's 2015. Why does this almost-$7000 bike not have EFI? !